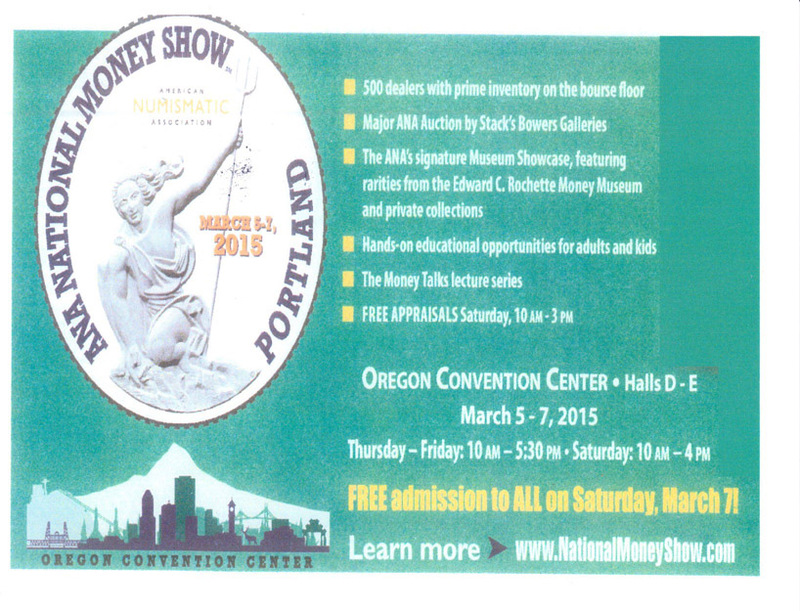 in Portland, Oregon, March 5-7, 2015. 2015 C2015-01 silver, C2015-02 copper, C2015-03 two-medal set in box/hinged case. 39 mm. Official convention medal. The medal commemorates the ANA Portland National Money Show and features an image of Portlandia, a famous sculpture in downtown Portland. 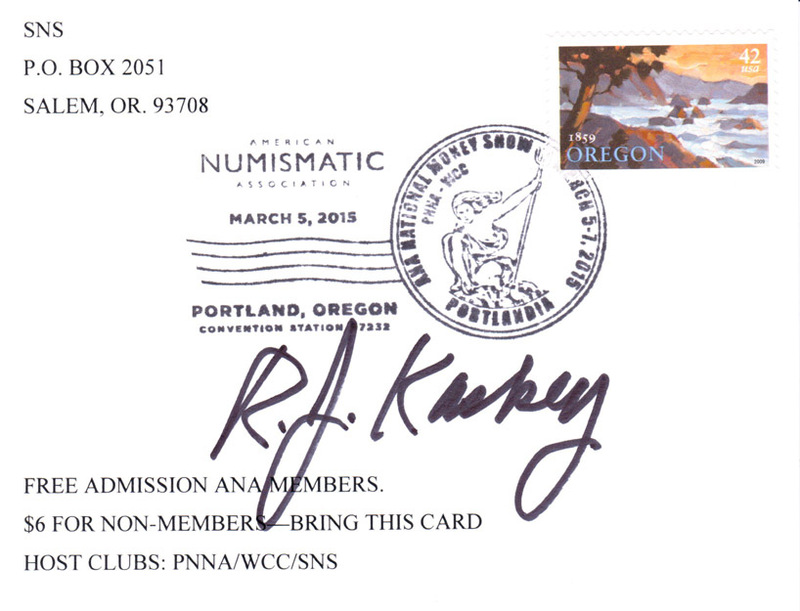 The reverse features a flying eagle and honors the "Spirit of Northwest Numismatics." See the 2nd Q 2014 edition of The Nor'wester (pp. 8-9) for more information about this medal. Final mintages: 200 silver, 520 copper including 20 edge-numbered sets, which were sold at premium prices. The regular prices were as follows: two-medal set in box $65.00, silver $45.00, copper $15.00. Made by Northwest Territorial Mint. 2015 C2015-04 Exhibitors / Judges appreciation medal. 39 mm. One side features the Portlandia design as on the C2015-02 copper medal, and the reverse is laser-engraved with an appreciation message. Mintage: 60. Awarded in a small plastic bag. Made by Northwest Territorial Mint.